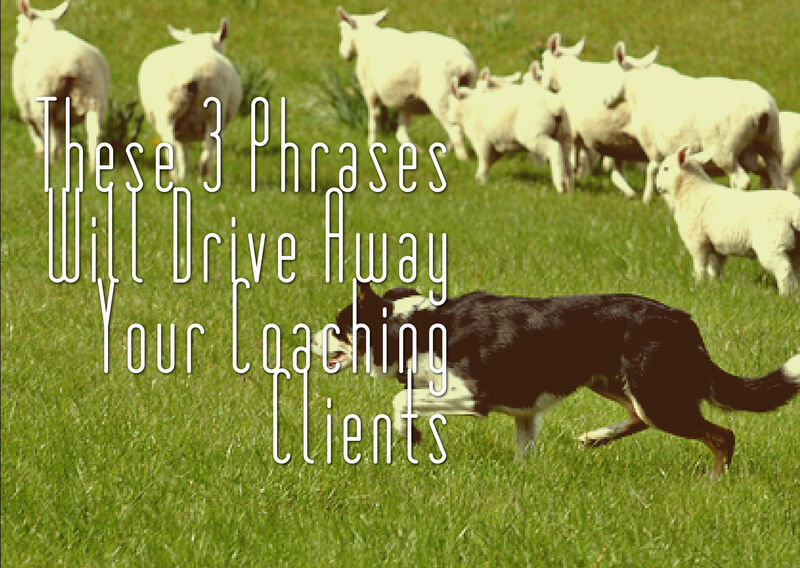 Are you driving away potential clients? 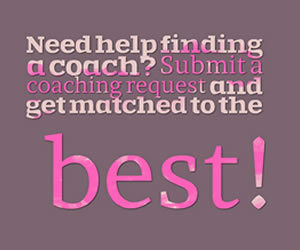 Life coaches invest a lot of time, energy, and resources to become the best coach they can be for their clients. More often than not, coaches go through all of this because they sincerely wish to help others become the best they can be as well. This is the heart of what life coaching is. But what if you, in your quest to delve deeper into your client's issues, inadvertently end up driving them away instead? Not only would that be very bad for business, it could also make the client feel alienated and turned off to life coaching attempts in the future. Unfortunately this happens quite often. What makes it worse is that these coaches do have good intentions. There are three key phrases that you should avoid when discussing an issue or goal with a client. The power of words is undeniable, and they are even more important during a coaching session. As a coach we want to create a sense of trust and support at all times with our clients. However, certain phrases end up creating distance and disconnect which can lead to mistrust and alienation. The good news is that you can employ some simple rephrasing techniques once you understand which phrases to avoid. This might be the most used, worst phrase when it comes to life coaching. A statement like this implies that there is some sort of disconnect or even superiority. 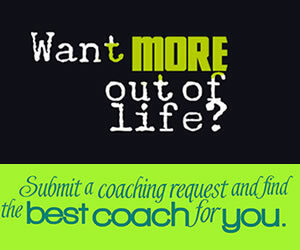 The last thing you want to do as a life coach is to alienate your client. In almost all cases this phrase is spoken with good intent, but the message can get lost if your client feels like you are speaking down to them or placing yourself on a different level then they are. By saying this phrase you are also projecting your own personal values into your client's situation. What you might do in one scenario might not be right for someone else in that same scenario. The goal here is to get your client to open up their own value base to determine what is right for them. This will help them make better choices in the future, instead of relying on someone to advise them. Another phrase you can use is, "Here is one potential option for someone in this scenario, let's try to list some more." This way you can share your insight which can then be used as a Stepping Stone to more solution ideas. Also, this phrase tells your client that there are always more than one option to consider when faced with any situation. This phrase is such an easy one to misuse, but it leads to a lot of negative connotations and implications. For starters, as a life coach it is your job to guide and lead your client to their own answers, not to give them specific advice. By stating that a client should or should not do a certain thing, you are essentially setting yourself to give advice on a specific course of action, which robs your client of figuring this out on their own. The reason why clients choose a life coaching path is so that they can learn from their mistakes and not repeat them in the future. The statement "you should have" or "you shouldn't have" implies that there is a negative judgement regarding their past actions. No one likes to be reminded that they made a mistake in the past. Your goal as a life coach is to help your client practice the art of Forward Thinking. A better way to rephrase this statement might be along the lines of "What do you think a better option would be if this should happen again?" This will engage your client and motivate them to find better solutions based on what they learned from before, which directly leads to them feeling empowered. Another rephrase could be "List out the ways you are better prepared for next time this happens." This will get them in the forward thinking mindset and it also serves as a reminder that they are on a path of learning and discovery. Asking this type of question only teaches your client to second guess themselves. By focusing on the past, specifically the excuses or justifications for past actions, you miss the opportunity of placing the focus on future improvements instead. Time Travel techniques are viable as they allow you to delve into past events to glean insights for the future. However, these techniques must be used to steer your client to find answers versus judgement. When you ask someone "why didn't you (insert proposed option)..." you are implying that the client had already considered your proposed option and then opted for another action. What if your client never even considered your option to begin with? This might make them feel stupid, silly, or embarrassed. These types of feelings lead to disconnection and withdrawal which can be destructive when it comes down to life coaching. In this instance, now the client is focused on these negative feelings instead of putting their thoughts towards solutions and positive action. Instead of this phrasing, you can try something like "Let's explore some alternate strategies for this scenario." This will guide the client to start brainstorming about solutions for a particular issue. Now, in this instance, their mind is open and they become focused on Possibility Creation. Once they practice this technique with you, after a while, they will see how easy it is to come up with many possible solutions. When a person learns that they have options, not just the knee-jerk reaction, they will feel more in control of their lives. When a client feels comfortable with you, when they feel like they can share anything with you without judgement, that is when they become a long term client. These rephrashing techniques will help you build rapport with your clients. The second one reminds me of something I learned about in grad school... the tyranny of the shoulds. Our professors called it "shoulding on yourself," lol.